The work horse of your shoe wardrobe, giving you a little lift yet not a full on tottering heel; but enough of a heel to make a statement. So add some colour, fun and comfort to your summer time footwear with these shoes which run from sparkly party shoes to a perfect summer all round sandal. 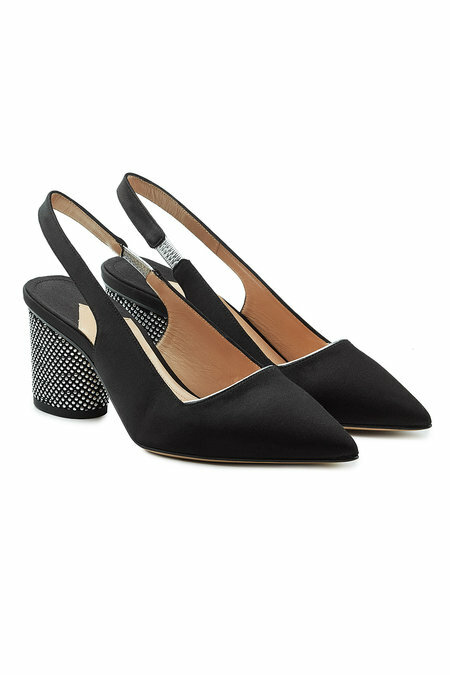 Styled with a pointed toe and a sophisticated slingback, these black satin pumps are a chic choice from Paul Andrew - with a dressed-up stud-embellished heel for added finesse and tactile indulgence. 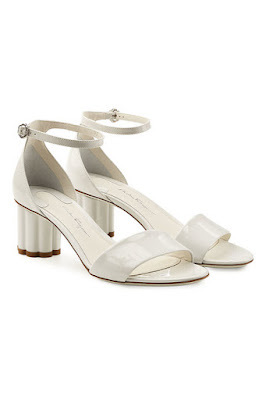 Set on an architectural slanted heel, these white leather mules are a chic but modern statement from Nicholas Kirkwood. The chunky silver-tone zipper is a tough-luxe accent we love - match with a high-shine pedicure for the most impact. 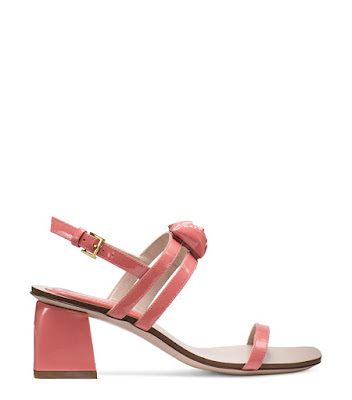 The ROSETTA sandals feature sleek, barely-there straps juxtaposed by a substantial sculptural block heel. Note the structured satin rose vamp detail. These patent leather style stars shine with everything from slip dresses to slim-cut jeans. 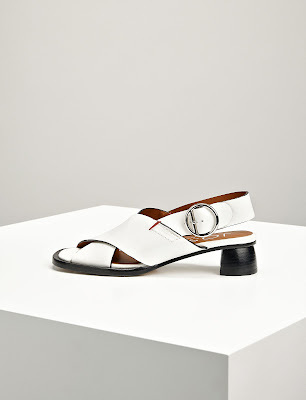 As indulgent as they are statement, these 'Eraclea' patent leather sandals from Salvatore Ferragamo are finished in pristine white with a sculptural scalloped heel. 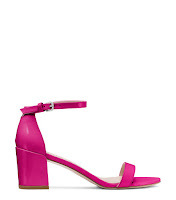 The ankle strap adds structure and girlish finesse. 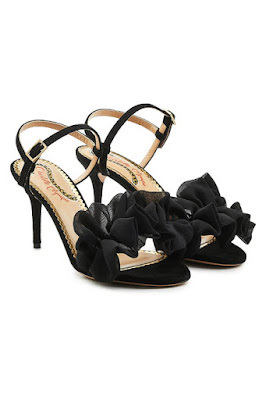 A frothy panel of gathered fabric informs the fronts of these stiletto-heel sandals from Charlotte Olympia, breathing girlish finesse and volume into the jet black finish. We love the addition of a dainty ankle strap, keeping them firmly in place and adding a flirty, feminine touch. Step confidently into your summer wardrobe with this season’s crossover sandals. Statement buckle detailing, a distinctive crossover upper and a comfortably low heel combine to create the ultimate everyday sandal. Wear with a casual trouser or loose fitting dress. 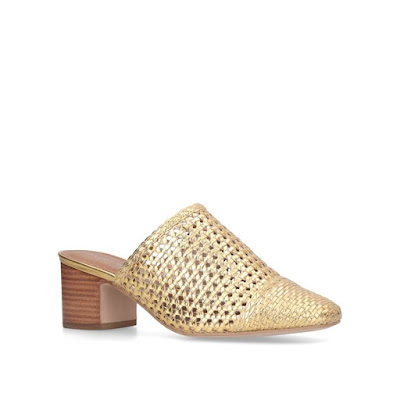 Take the chic woven upper of Olive and add a subtle 55mm heel and you've got Orella, Kurt Geiger London's latest take on the season-essential mule. Soft padding in the footbed makes this an unbeatable option for shirt-and-skirt workwear. The V-front trend makes its way over to the mule in Kurt Geiger London's new Broadwick occasion shoe. 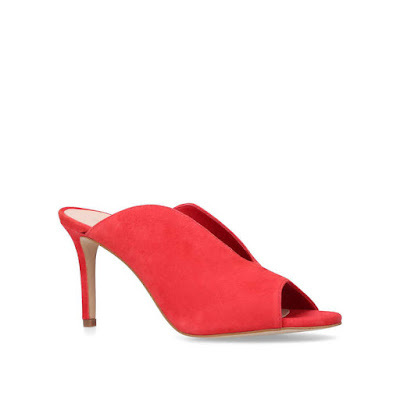 A fresh interpretation of this season essential red shoe, this backless design features an open toe and a covered 85mm heel. Simply timeless summer style. These Kali sandals are a pair you'll turn to again and again in the warmer months. 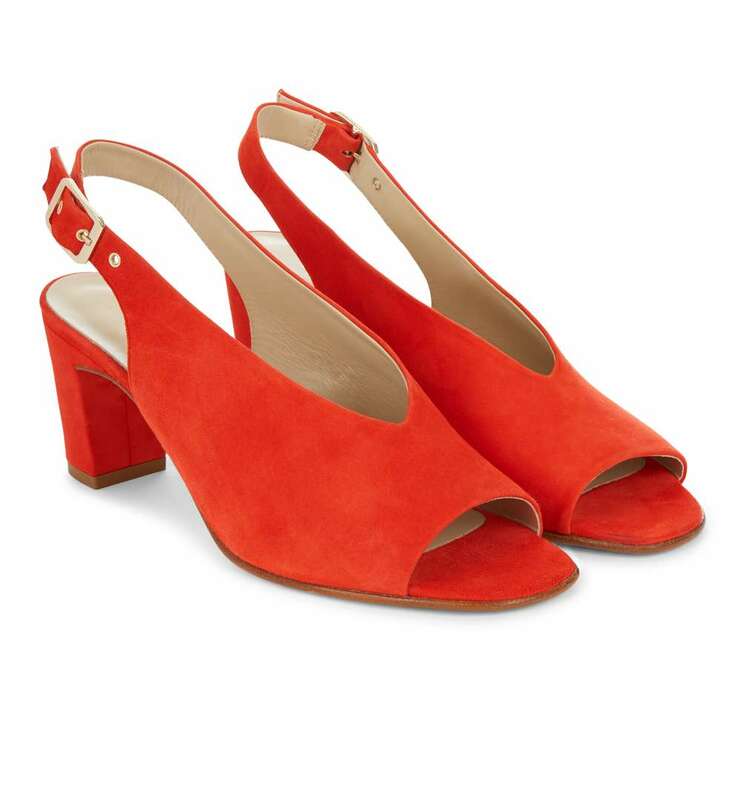 With a comfortable mid-heel, the slingbacks come with a contemporary high-cut topline and open toes. From denim to dresses, they just work. Crafted from the softest suede, in Hobbs very own Italian shoe factory.